● 7th Annual STUFF the BUS school Supply Drive Mixer on Wednesday August 3rd at 5pm. Bring a bag of school supplies to Broadway Bank at the Charles Cheever Admin Bldg, 1177 N.E. Loop 410, 78209. Hosted by the San Antonio Hispanic Chamber of Commerce and Broadway Bank. ● Bats 101 on Saturday August 6 at 10am. Discover the world of bats at the San Antonio Botanical Garden, 555 Funston Pl, 78209. Price $15. ● Kiehl’s Life Ride 2016 August 6th - 8th at 10am. Price is FREE. Ride to benefit AIDS research. Kiehl’s at The Shops of La Cantera, 15900 La Cantera Pkwy, 78256. ● Wine Tasting every Wednesday evening from 7-9pm at Nectar Wine Bar & Ale House. Price: FREE. Check the link for exact tasting for the week. 214 Broadway St, Unit 103, 78205. 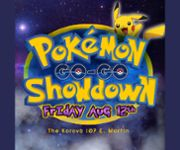 ● Pokemon Go Go Showdown on Friday August 12th 7pm to 2am at The Korova 107 E Martin St, 78205. Come on out and capture some Pokemon and make new friends. The Korova area is full of pokestops! ● Summer Dance Hall Series for August 3, 10, 17 and 24th. Doors open at 5:30pm with music from 6-9pm. Benefits Boot Campaign. Price is FREE. 300 Pearl Pkwy, 78215. ● DAM 09 Triathlon on Saturday August 20th at 7am. 400 m pool swim, 9 m bike, 4 k run. Price $75-$175. Alamo Heights Swimming Pool, 250 Viesca, 78209. ● Food Bank Farmers’ Market on Thursday August 25th at 10am. Price: FREE. In joint partnership with San Antonio Food Bank. San Antonio Housing Authority, 818 South Flores, 78204. 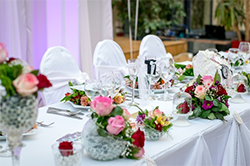 ● Expo Bridals and Quince on Saturday August 28th at 1pm. Price: FREE. Fashion shows, free pics, DJs, Robots, decorations, jewelry designers and more. Free parking. Wonderland of the Americas Mall, 4522 Fredericksburg, 78201. These are just a few of the highlights from the August Events. Check out our Facebook page to see more local San Antonio events too. If you are looking to purchase a home, you can click here to search for homes in and around San Antonio on the local MLS. If you would like to find out what your home is currently worth click here and type in your address for a FREE home valuation report. We at Doerr Realty have the knowledge, experience and expertise to help you sell your home for TOP dollar in the least time possible. At Doerr Realty, Doerr Gets it Done! Call Now! 210-826-3134 or email me at: Sales@MichelleSellsSanAntonio.com.